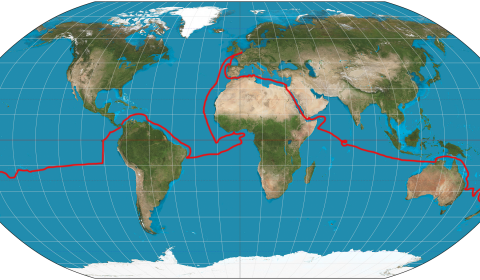 Sail360, Solo Circumnavigation | Picture yourself…. At anchor lagoon ‘Punaauia’ Tahiti South Pacific Ocean. Hi dear friends, thank you for following my journey. Here is this week’s update. ‘Manava’ (welcome ‘I open my heart to you’) to paradise which is Tahiti and her islands. Firstly it would appear that only a few from the distribution list have been receiving the updates, it would seem to be a ‘winlink’ problem so I hope it has been resolved by now. After only three weeks here one could easily loose your heart to the Polynesian people, regardless of age they have the most beautiful faces and such warm affection to visitors to Tahiti and her islands. 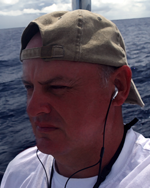 My new crew arrived on Wednesday, Brian who was crewing on SV Euphoria. I fist me ‘Euphoria’ and her crew whist in Colon, they were originally on their way to New Zealand, but the skipper had fallen in love, married, and as so often happens his wife did not get on too well with the sea so he had decided to take the vessel back to the USA to sell. I received an email from Brain asking if there was any opportunity to crew, so, her he is. He will be onboard for six – seven weeks. SV Pinta and the crew of SV Oasis went to see one of the many dance competitions being held during the ‘Heiva i Tahiti’ (Festival Tahiti), a celebration where Tahiti and her islands come together, each island competing with each other. During our visit they told a moving story (in Polynesian) about the ‘Bread Fruit’, how the crop failed and the story leading to a successful harvest later however the most stunning was a traditional dance, in full authentic dress. I can tell you I had goose bumps all over, what a passionate and energetic dance, it would was the same that night as it would have been when Captain Cook first visited the island. Picture yourself, landing on the beach, walking towards the village, possible the first visitors to the island and seeing the following sight; Over forty men and forty girls in the arena at one time, forty crass skirts (and coconuts, ok, eighty coconuts) shaking the night away. Surprisingly most of the crowed were locals, we were luckily enough to be seated with home supports and when the second dance group came on, well words cannot explain the passion and emotion, the more the girls shook their grass skits, the more the locals cheered. An amazing night and at only £5 entrance fee. Breadfruit was the reason why H.M.S. Bounty visited Tahiti; they came to cultivate, then to take them back to the Caribbean as a cheap means to feed the slaves at that time. Bananas were too precious to give to them. That is the reason why breadfruit is all over the Caribbean these days. Still awaiting the shroud, hey, there are worst places to be stuck then in Tahiti!